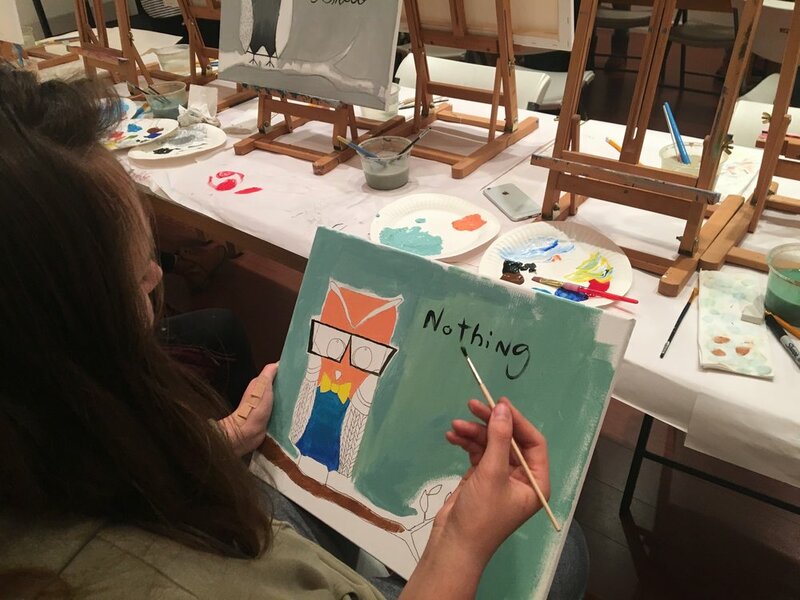 Join at Art Trek for our monthly paint night for teens. 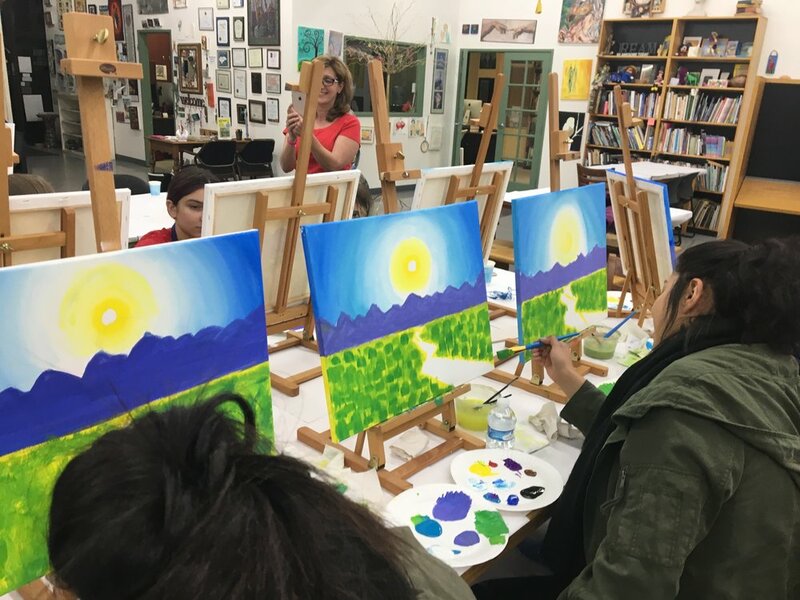 Learn new skills and techniques in creating a beautiful masterpiece that is all your own. *All art materials/Pizza and drinks provided. Looking for $5 High School Hangout on May 10th? Scroll below the gallery to RSVP! 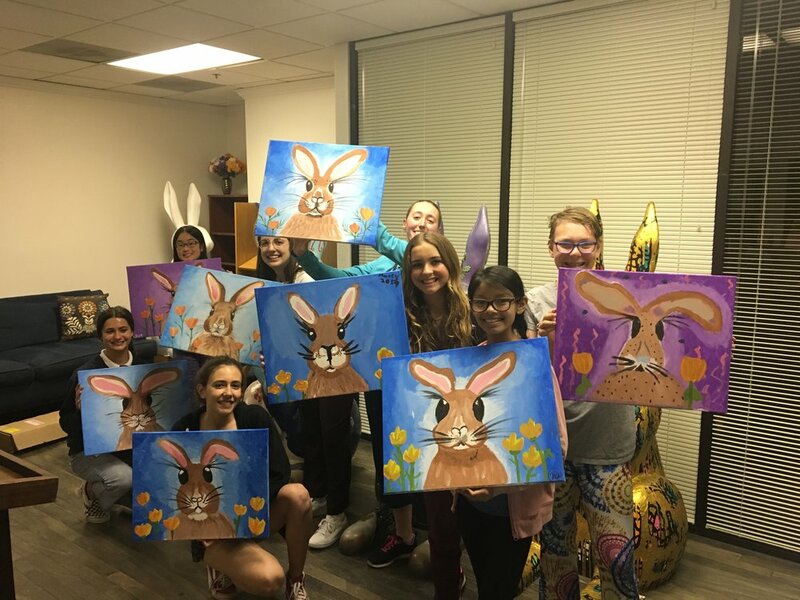 Art Trek and the City of Thousand Oaks - Youth Commission have teamed up to bring teens a unique and fun experience! 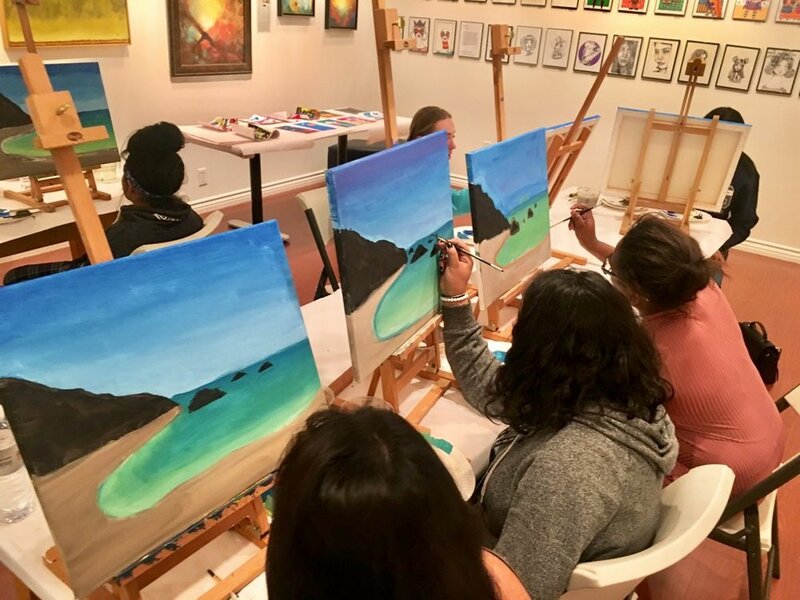 Join together at Art Trek for a night of food, music, and art! This event is open to all high school students. Grades 9-12. Please bring your school or state ID. Come with a friend, make it a date, come for the music, food, laughter and to express yourself in a creative way. Make a gift for someone for the holidays or just enjoy the company of your friends in an inspirational and safe environment. Fill out the form below to RSVP for this event. Once you have RSVP'd, mark your calendar and bring $5.00 with you! Payment will be collected at the door. See you there! See you at our 1st Teen Night! We can't wait!